Please refer to the Campus Map for parking lot locations. General spaces in Lots C, D*, F, G, H, J, K, L*, N, S, T at any time. When visiting on-campus apartment complexes, use Visitor spaces only. If Visitor spaces are full, refer to the specific complex under Apartment Residents for overflow locations. From 5pm - 1am, Reserved spaces except Admin and Gannett (formerly 7B loading dock), are open for general use. 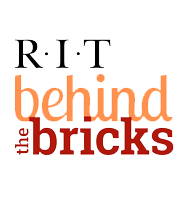 The person who registers the vehicle (registrant) is fully responsible for all fines issued to the vehicle and must properly inform other users of RIT’s parking regulations. Any vehicle parked in an unauthorized location will be ticketed or towed at owners/registrant’s expense. * NOTE: All Residence Halls circles, D, L and M Lots are closed every day from 1 am to 5 am. From 1am - 5pm, on Monday to Friday vehicles are required to remain in B-Lot. From 5pm - 1am, Reserved spaces except Admin and Gannett. Resident students are not eligible to purchase a Reserved parking permit. When visiting at an RIT apartment complex use Visitor spaces only. If Visitor spaces are full, refer to the specific complex under Apartment Residents for overflow locations. If you become a 2nd year student in the middle of the year, you must contact or visit the office to inquire about a lot upgrade. General spaces in Lot C, and K any time. Resident students are not permitted to park in academic lots between 8am and 5pm. Academic lots include: D, E, F, G, H, J, L, M, N, R, S, T, U plus fully reserved lots Grace Watson Circle, Kate Gleason Circle, Sol Heumann Circle and CIMS West. From 5pm - 1am, Reserved spaces except Admin and Gannett, are open for general use. All residence halls circles, Lot D, L, and M are closed between 1am - 5am. Global Village and Riverknoll residents may park in the Riverknoll parking lots or in the Global Village lot located north of Kimball Drive (near the Red Barn). Colony Manor, Perkins, University Commons and Riverknoll/Greek Housing residents may park in resident spaces in your OWN complexes. Resident students are not permitted to park in academic lots between 8am and 5pm. Academic lots include: D, E, F, G, H, J, L, M, N, R, S, T, U plus fully reserved lots Grace Watson Circle, Kate Gleason Circle, Sole Heumann Circle, CIMS West, and C and K lots (RH residents are the exception to C and K lots). All residence halls circles, Lot L and M are closed from 1am - 5am. Be courteous to your fellow residents. Properly instruct your guests to park in Visitor spaces only. Riverknoll/Greek Housing – UC lots north of Andrews and Global Village lot located north of Kimball Drive. Note: On-campus resident vehicles parked in S-Lot after 8am will be ticketed. Due to the limited number of spaces on campus, students living in Park Point and Province are not allowed to purchase commuter parking passes. Students can purchase an after-hours permit for use between 5 p.m. and 1 a.m. Monday-Friday. RIT provides a campus shuttle for these students that runs from 7 a.m.-1:30 a.m. Monday-Friday and from 7 a.m. to 11 p.m. on weekends. Details about the shuttle and after-hours permits can be found on the Parking and Transportation website. Designated resident students are not permitted to park in academic lots between 8am and 5pm, Monday to Friday. Academic lots include: D, E, F, G, H, J, L, M, N, R, S, T, U plus fully reserved lots Grace Watson Circle, Kate Gleason Circle, Sole Heumann Circle, CIMS West, and C and K lots (RH residents are the exception to C and K lots). Designated resident students are not eligible to purchase a Reserved parking permit. Parking and Transportation Services (PATS) reserves the right to revise parking rules and regulations at any time.